THE RECOMMENDATION: Now having seen all the Furious movies, I feel very accomplished and have a better understanding of why these nitrous-fueled maniacs have captured the minds of people around the world. 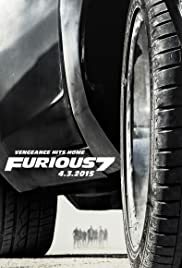 While I have a feeling some of my reasons for enjoying these films are different than others, the fact of the matter is Furious 7, like many of the previous entries, is firing on all cylinders. Unfortunately, like Fast Five, Furious 7 fires on them for a bit too long and doesn’t quite stick the landing. Family, and the idea of loyalty, plays a major role in this film as it dealt with the passing of Paul Walker, who plays Brian O’Connor, during the production of the film. If you’re unaware of his fate in the films, I’ll leave that unspoiled, but I will say that knowing the outcome of the actor was detrimental to the outcome of the character, much more than I thought would be possible. Furious 7 does however deliver the biggest, baddest, and most jaw-dropping action scenes in the franchise and does so with style. It is no contest in terms of scale, execution, and pure pleasure watching cars parachute from the sky and jump between the Etihad Towers in Abu Dhabi among others. There’s a few steps back from Fast & Furious 6, but this is no doubt a high-octane joy ride that will leave you satisfied at the end.